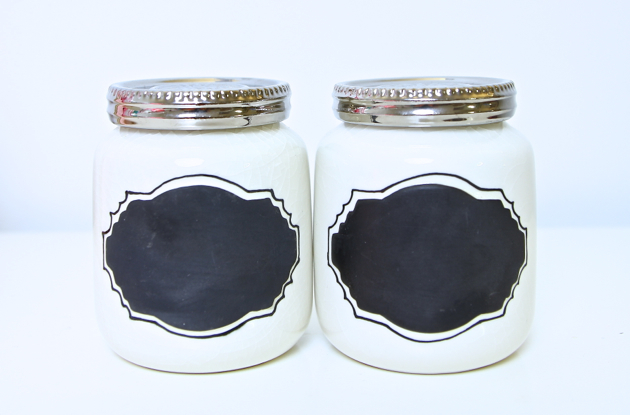 As I was poking around the kitchen section checking out coffee mugs, of which they have the CUTEST designs, I saw these little chalkboard canisters. They come with lots of different colored tops, but these silver ones I fell in love with. I'm not sure what I'm going to put in them yet, but I am designing a little coffee nook in my kitchen so these might be perfect to hold sweetener and straws. As I was heading to checkout I saw this little book of love poems, and decided to treat myself. I was feeling extra affectionate, and took it as a sign that I had decided earlier in the day to do a blush and gold themed coffee table set-up. This little book was meant to be mine. I'm pretty happy with my haul; each and every one of these items are adorable and will be perfect in my new home. 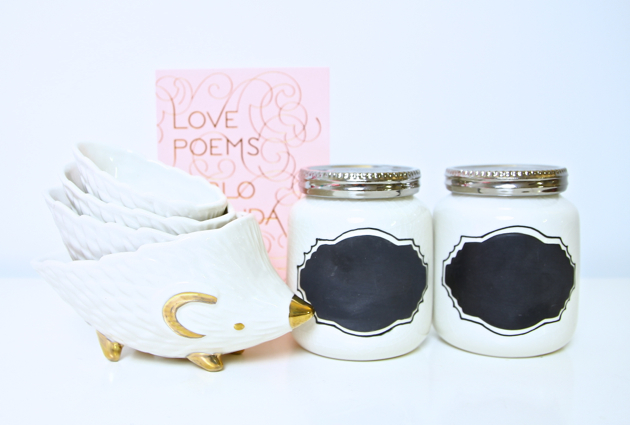 Have you guys gotten any new home decor goodies recently? 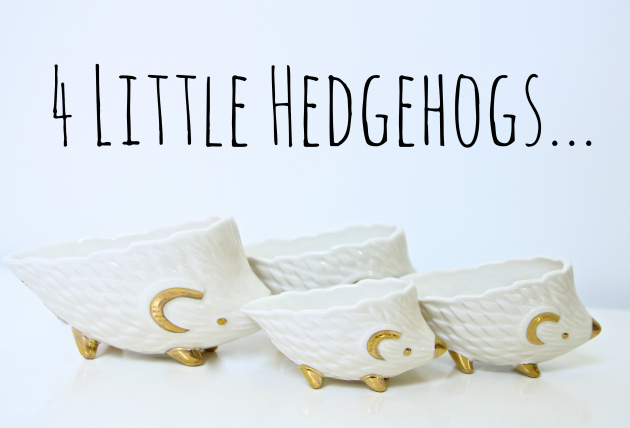 Those are the cutest hedgehog measuring cups! I love finding cute items like that for the kitchen. And they have especially cute salt and pepper shakers too. I am absolutely obsessed with your style!! And I went to Pier 1 the other day and I just fell in love with all of the coffee mugs that they had! I saw the owl mug that was in your get ready with me video that you filmed a while ago! It is just to die for!! The entire haul is too cute! Definitely something i would get! Love it! Those are the cutest little measuring cups I've ever seen! If you like those poems you should see the movie Il Postino. It's a romantic comedy with Pablo's poetry in it. It's one of my favorite movies. It's a foreign film. I forget from which country, but it has English subtitles. It won awards. Hi! Could you do a video or blogpost about being half Turkish (do you speak the language, have you been there, do you like the food, do you feel half Turkish)? Elle, I have owned a hedgehog. His name was Herbert and he was very cute, though he had quite an attitude! I know a place where you can get great quality hedgehogs, along with accessories for them. www.carolinastormhedgehogs.com is where I got my lovely Herbert. Larry (the owner) is very nice and is very helpful when it comes to questions or concerns. You have fantastic style! I too have been eyeing those hedgehogs for the longest time! I love Pablo Neruda's poems!! And the rest of the things you bought look so adorable and girly! Great choices Elle and thank you for another amazing blog post that made my day!! Oh my goodness I saw those hedgehogs in my feed and died a little. They are too adorable! I've been loving gold accents in decor lately, and those guys are just perfect! Anthropologie and Urban Outfitters really have the best things for your home. I love the book and it's so pretty! I wish I had my own place to decorate! too many beautiful things!!! There's no "Anthropology" here, but I love the things I see online! I absolutely love the hedgehog measuring cups! Too cute! 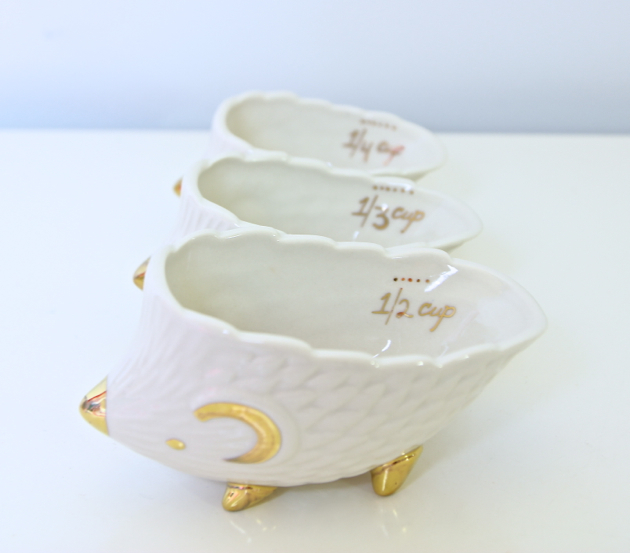 I absolutely love the 4 little hedgehog measuring cups! Hey Elle! I adore reading your blogs in my spare time, I tend to feel a tad more jovial when I see a new post up on both of your blogs. Your new decor is very fun and cute! I think it fits perfectly with your home and your whimsical personality and style. Love you blog Elle! 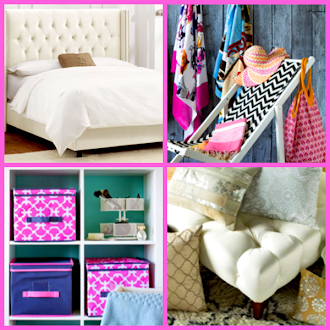 I can't wait until I get my new room and I can start decorating it ! Love your style! My boyfriend got me a set of nesting measuring cups that look like an owl when they are all together for my recent apartment move in and I love them! so adorable! Dear Lord, I wish there was an Anthropologie near me!! I NEED those Hedgehog measuring cups!! To die for cute!! Thanks for sharing - can't wait to see these in an updated apartment tour! I think you should put sugar/sweetner in one canister and tea bags in the other! I am OBSESSED with Anthropologie's home stuff. So cute! I love Elles blogs. they are super cute and amazing. I am starting slovak bloger and I am writing my posts in english too. I will be happy if you can take minute or two to read my blog :). Those hedgehogs are the cutest little things ever! The hedgehogs are so lovely! Awe the hedgehog measuring cups are super cute!! I totally want to go out and get them. But, my only reservation is its accuracy. Have you used them and know how accurate these measuring cups are? That love poems book is written by an author that's talked about in How I Met Your Mother it's my favorite episode called "The Naked Man" It's hilarious and works 2 out of 3 times. I have two questions about blog design.. I am currently re-designing my blog and I am struggling with the fonts on my blog. I'd like to use a font from Google Web Fonts (it's a website with over 500 fonts on it) but then you have to do something with the HTML code and stuff and I watched lots of tutorials already but I just can't seem to do it! I am also wondering how I could create a nice header for my blog..
i really wish we had anthropologie here :) cute hedgehogs! Have a wonderful sunday Elle! 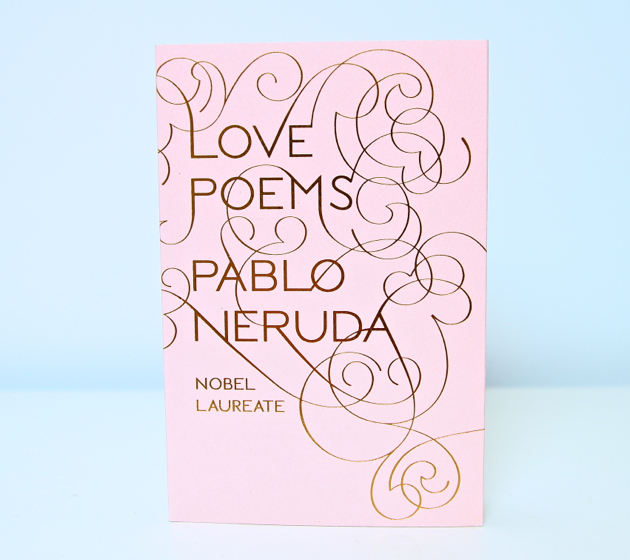 I love Pablo Neruda, running to Anthropologie right now :) Thanks for this post Elle! Pablo Neruda makes my heart melt :') I must get my hands on this book! !